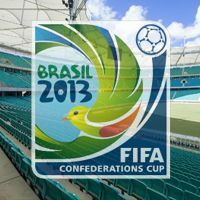 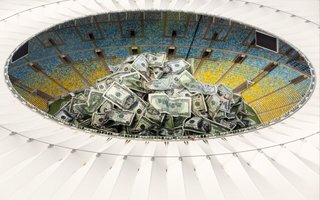 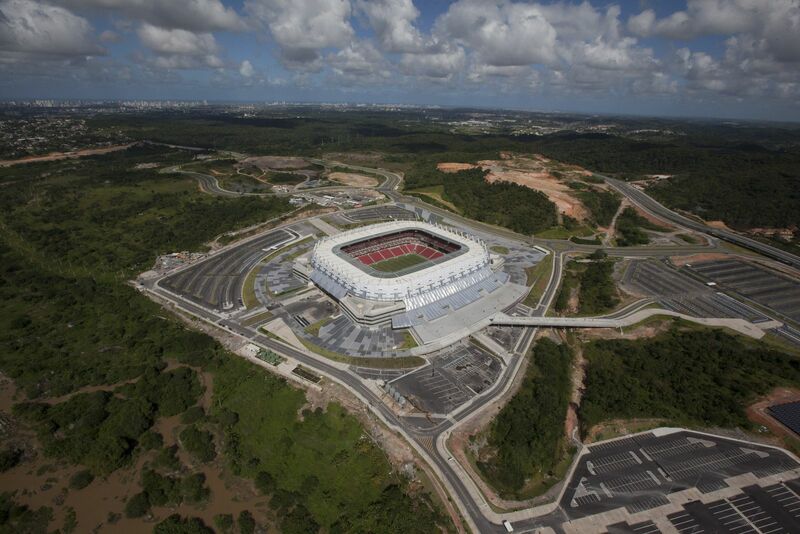 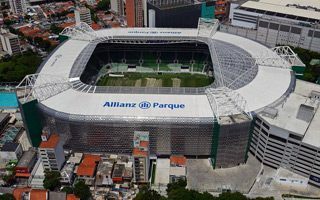 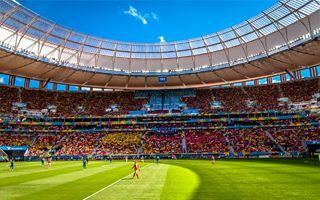 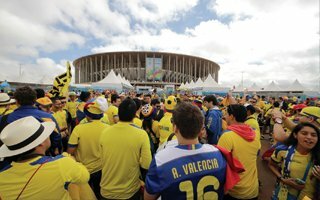 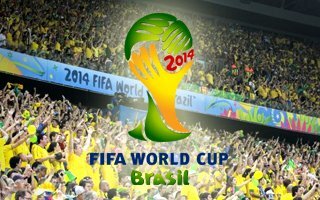 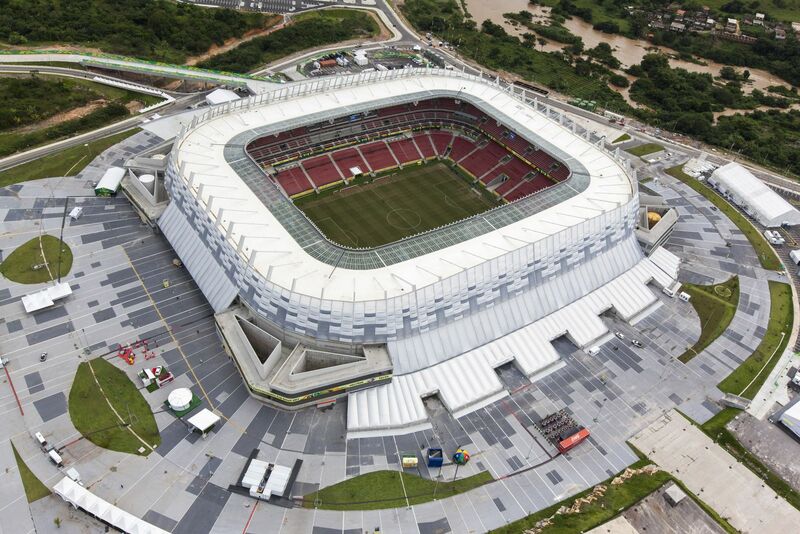 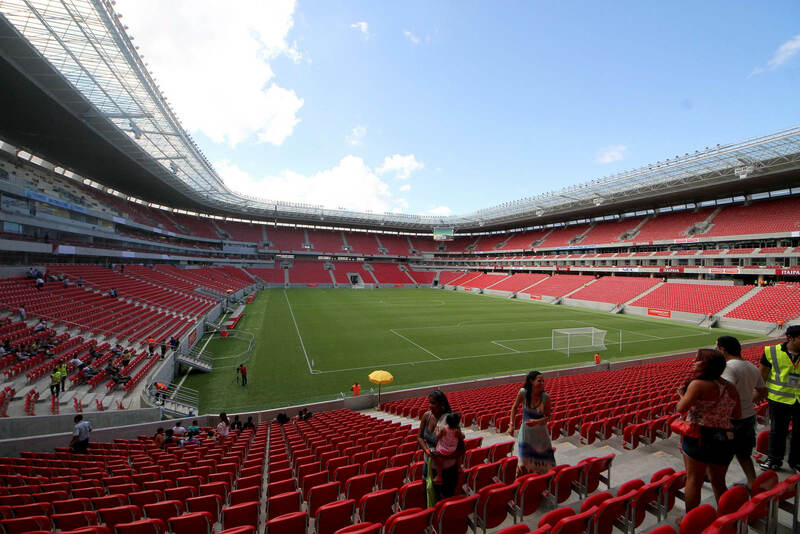 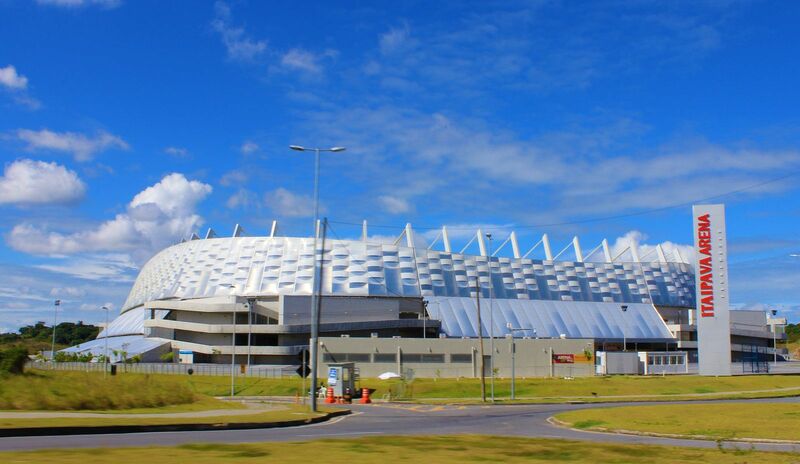 Works in western outskirts of Recife began in August 2010 and the new stadium delivered very late (not even two weeks ahead of the 2013 Confederations Cup) isn't the only outcome of the project. 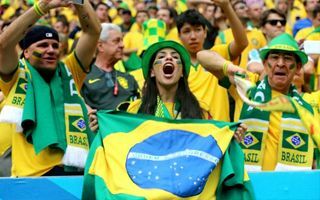 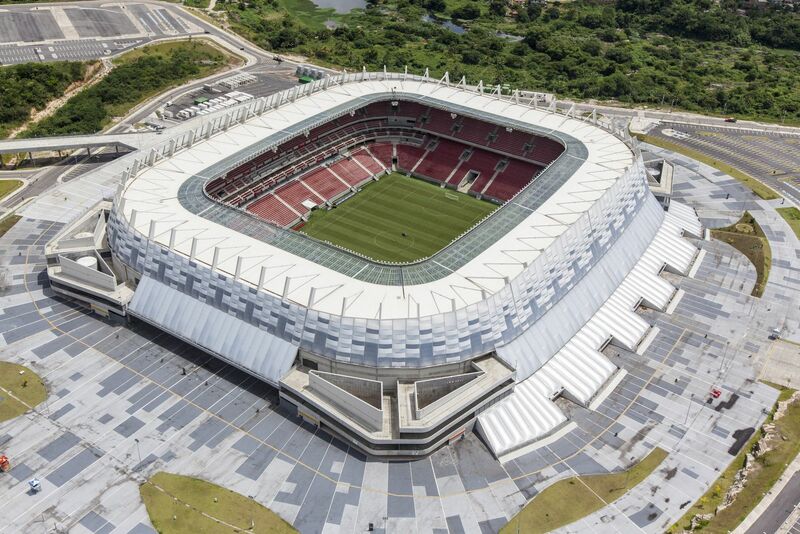 Quite the opposite – football is just the beginning as this place is expected to be transformed into a prosperous district called 'Cidade da Copa' (Cup City). 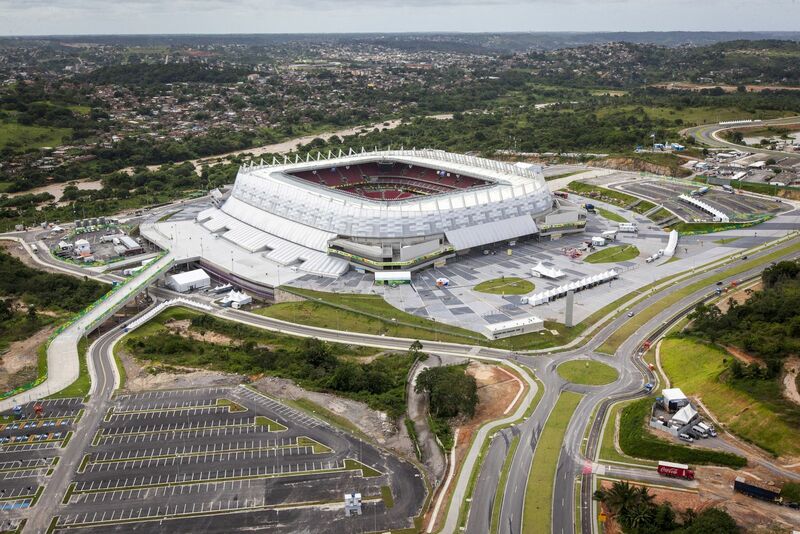 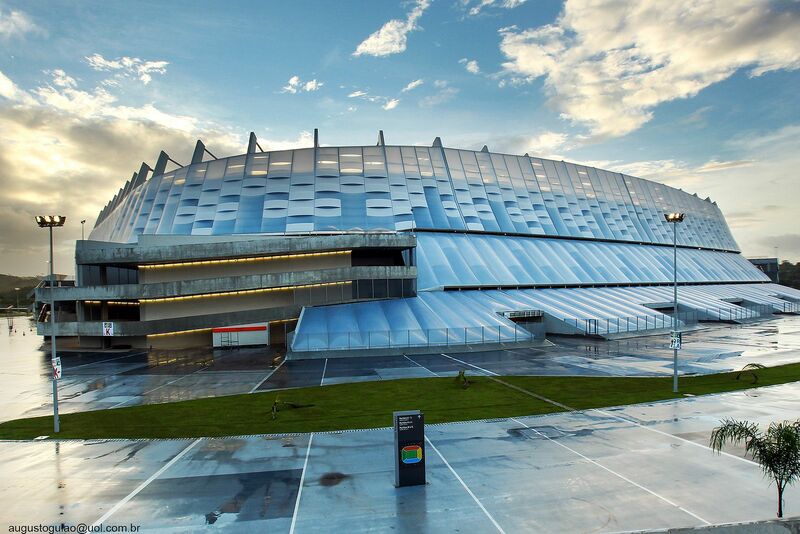 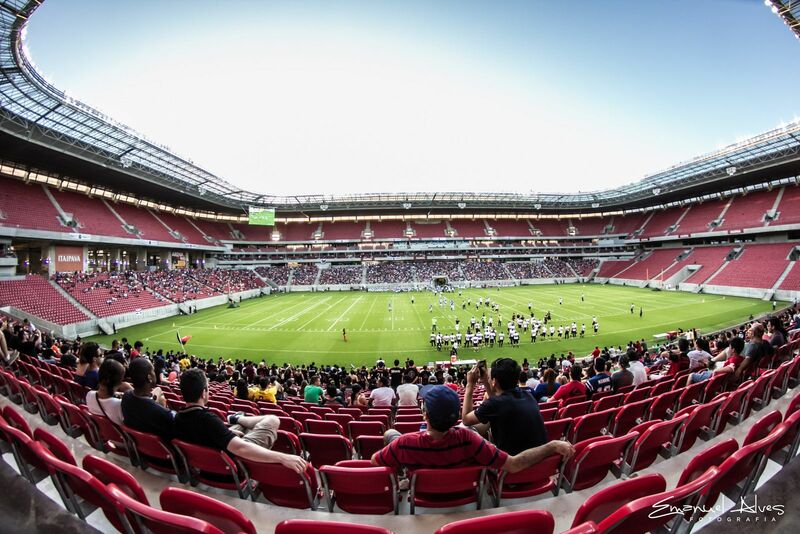 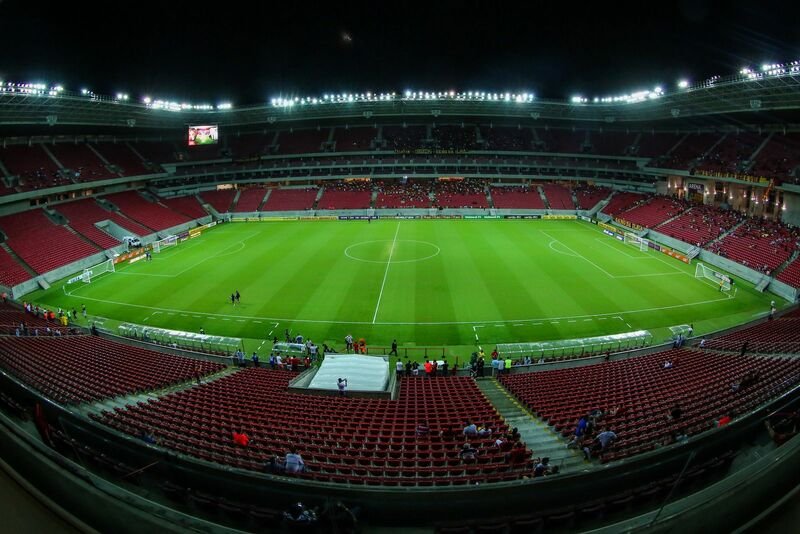 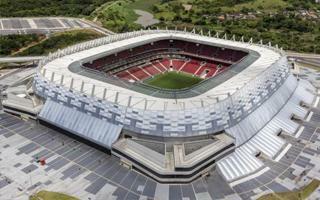 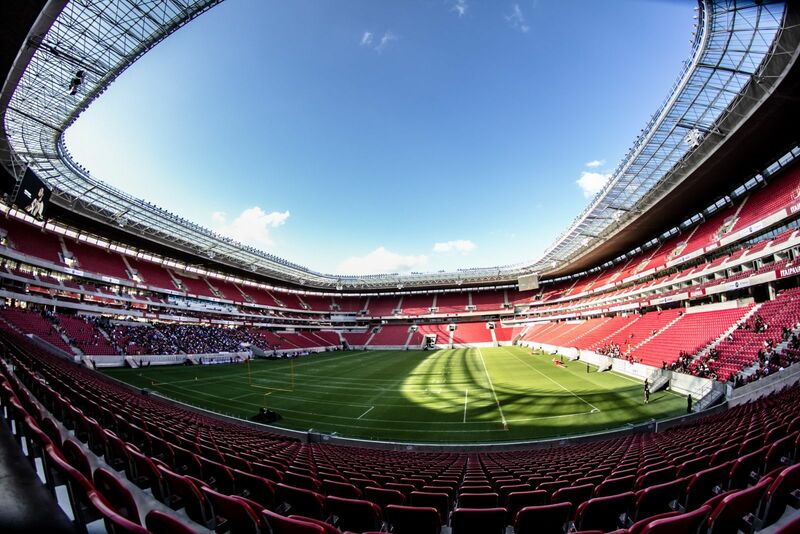 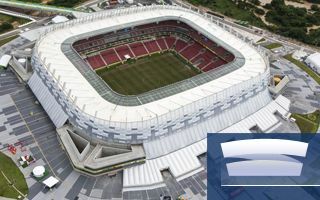 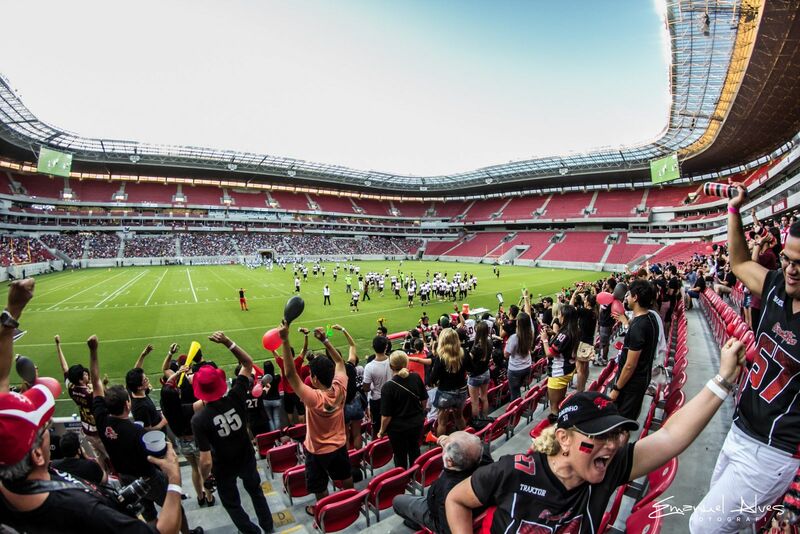 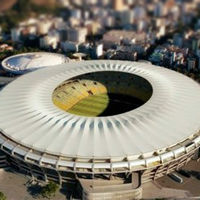 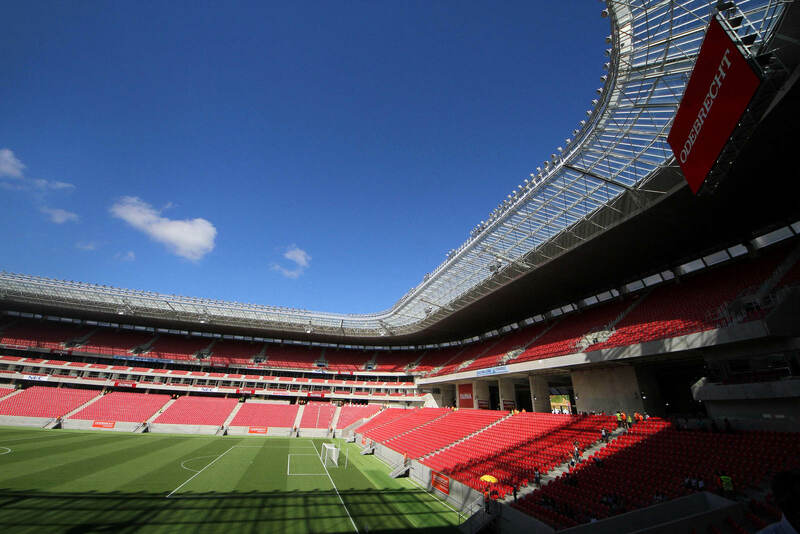 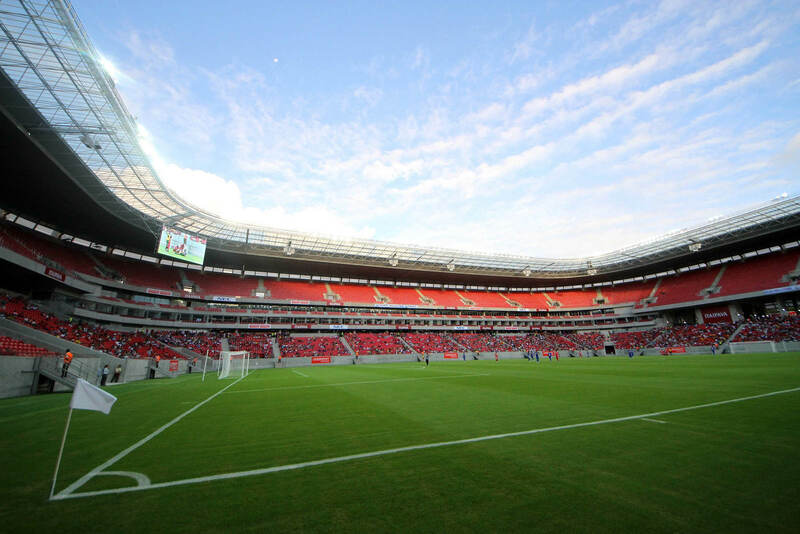 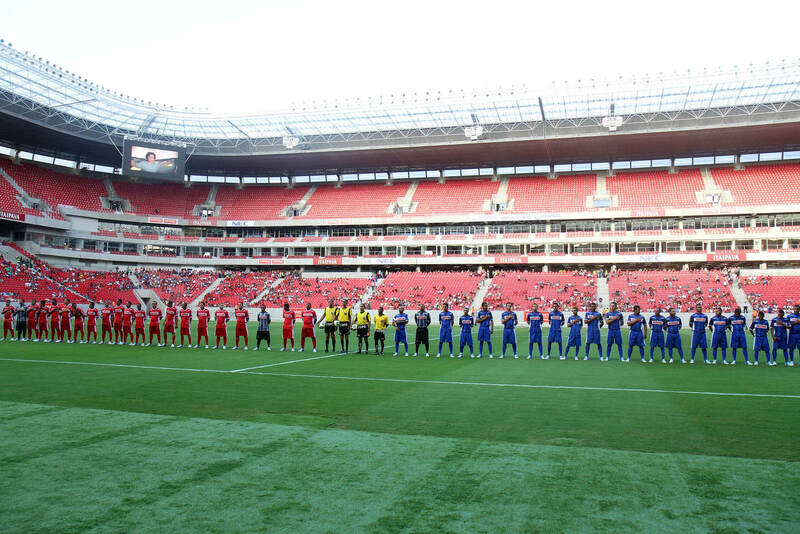 However, the R$ 532 million (€203m / $261m) football venue is the first phase, while other will follow until 2024, covering a massive 240 hectares. 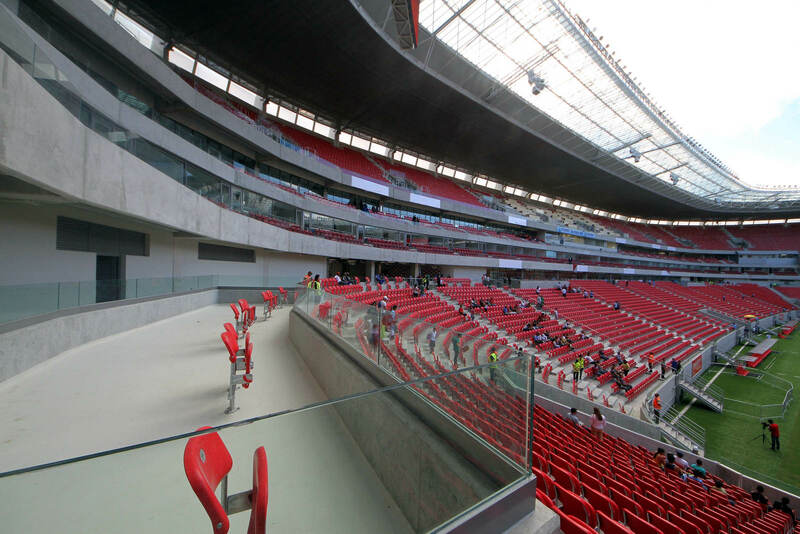 The 2-tiered stands are very compact and steep, allowing for rather modest roof to still cover most viewers from the elements. 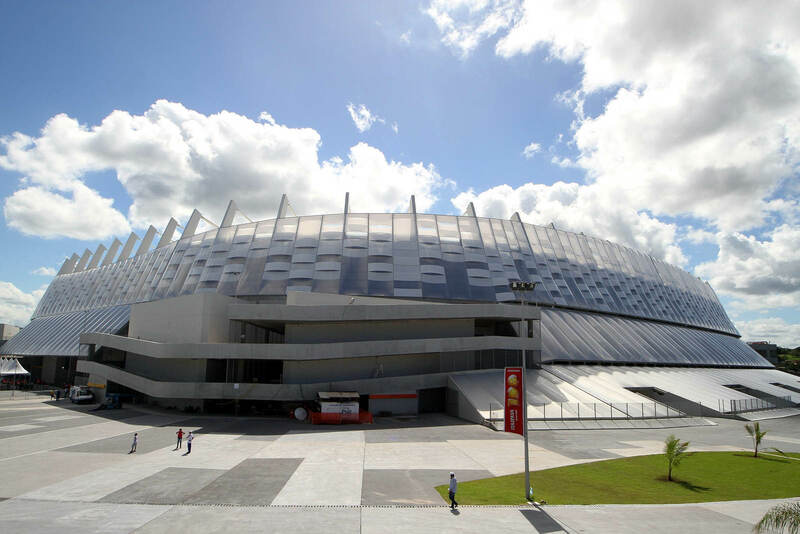 The visual side was carried out by Daniel Fernandes's team, who decided to form an interesting contrast of soft and light EFTE panels on the facades and heavy and sharp concrete ramps in the corners of the venue. 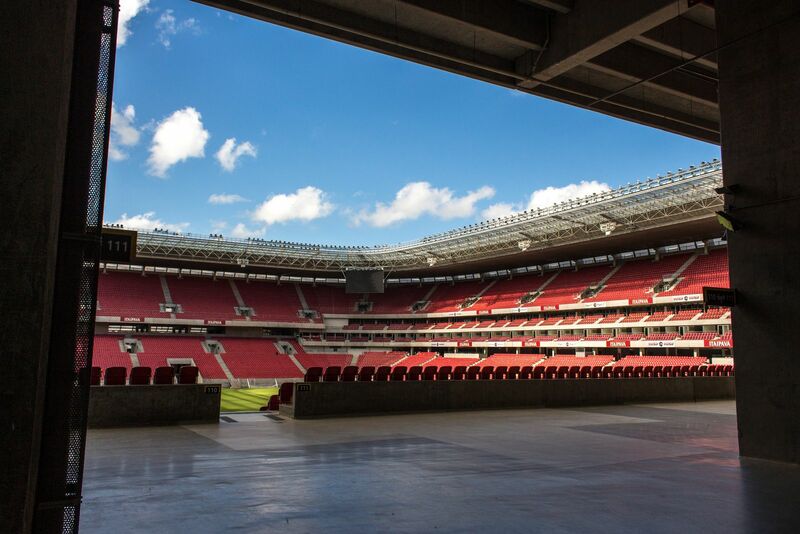 As for the inside, red seating is said to be homage to the entire state's largest teams, Nautico, Sport and Santa Cruz, all of which have red in their coat of arms. 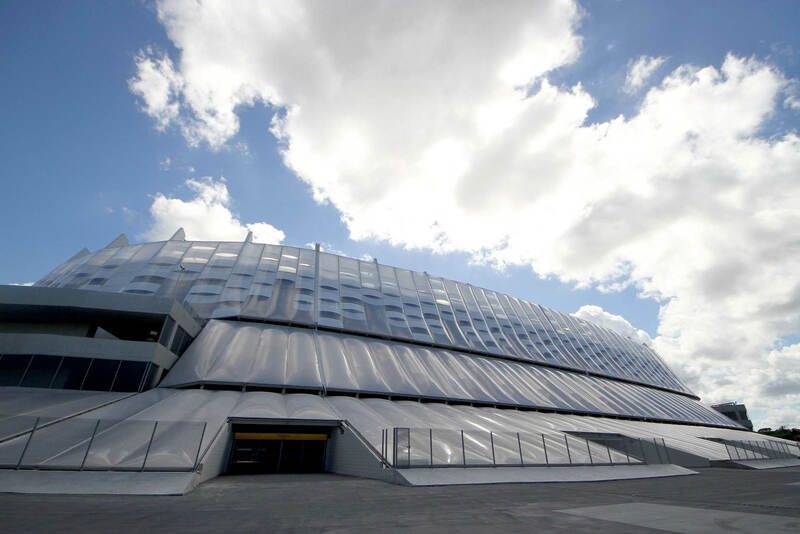 Under the cladding and seats are 6 floors of space that may be used for a variety of purposes, with 800 covered parking spots covering some of the area. 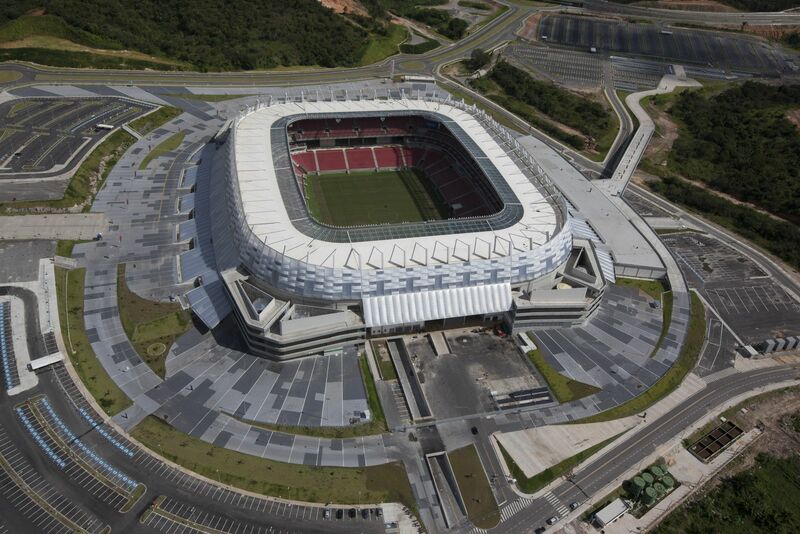 Outside there are also over 4,700 uncovered parking spaces nearby. 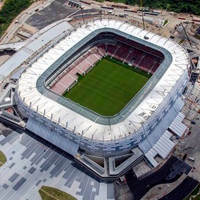 The stadium is equipped with systems of effective waste management, rain water collecting and solar power utilisation. 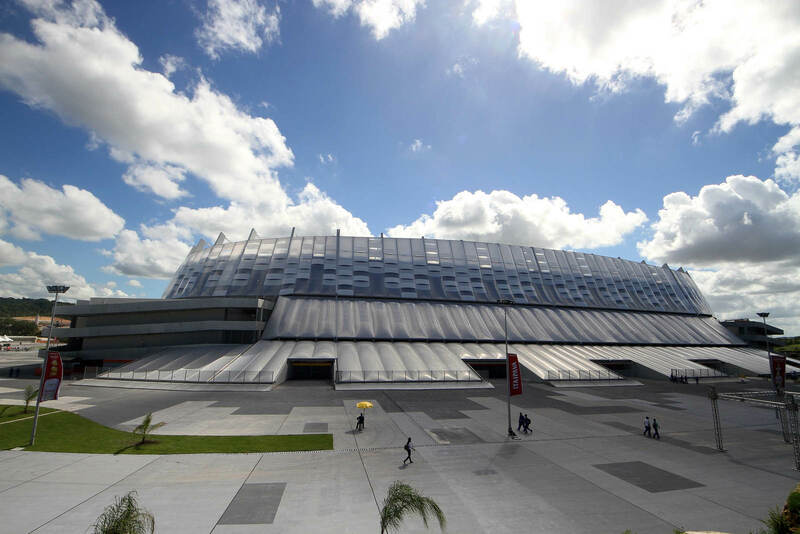 All these features are to provide a sustainable legacy.